Can Someone Explain To Me Why David Ortiz Isn’t the Sportsman of the Year? Really SI? I wasn’t aware that the possibility of breaking the quarterback touchdown record was more impressive than putting a city in despair on your back, winning the AL East, winning the world series and becoming world series MVP. Peyton began his year by losing in the playoffs. Yes he’s having an unreal year, but he also has 3 of the top 15 receivers in the league. At this point, the broncos might not even win their division! And if you think they’re going to represent the AFC in the super bowl then you’re high. 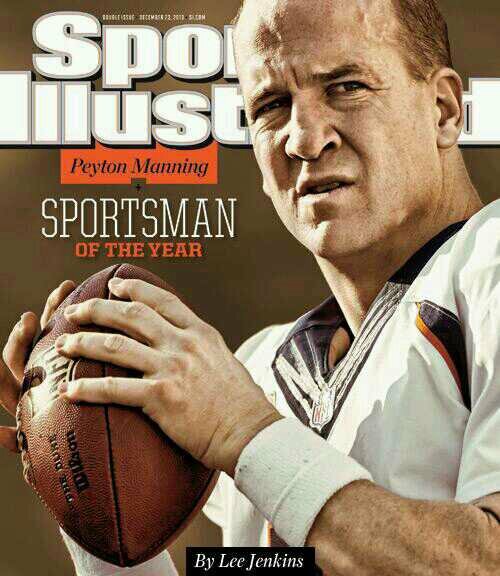 Sports Illustrated just lost my respect. Quite possibly the biggest oversight in fake awards history. Big Papi is upset, and rightfully so. Posted on December 16, 2013, in Average Blog Posts and tagged david, illustrated, magazine, manning, of, ortiz, peyton, Sports, sportsman, the, year. Bookmark the permalink. 2 Comments. 1) Peyton’s team lost in the playoffs in double overtime to the team that went on to win the Super Bowl. They followed that up by smashing that same team in the 2013 season opener. 2) Demaryius Thomas is the only top 15 receiver on Denver’s roster (he’s probably top five). Peyton Manning (and Tom Brady) made Eric Decker and Wes Welker stars. They are talented receivers, but not top 15 guys. 3) Denver will win the AFC West. 4) I must be high.